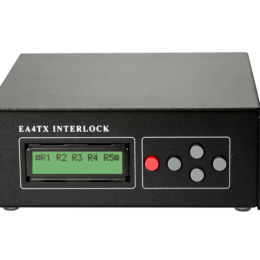 The Interlock is an equipment designed to be used by contesters where they need to check, supervise and limit, how many radios are in transmission at any given time. 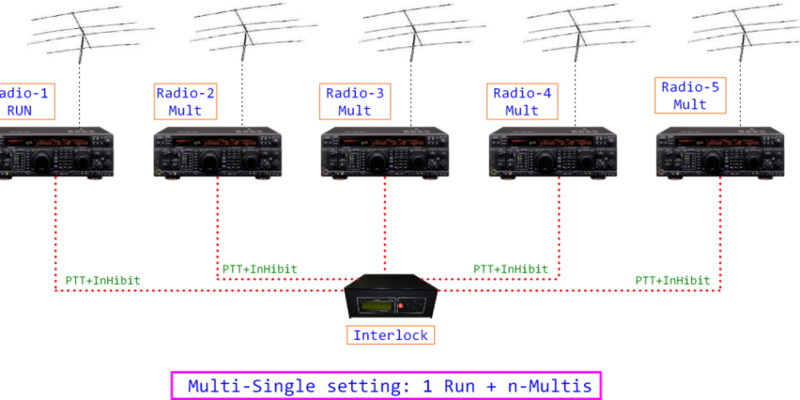 There are contests where you can participate as a Multi/Single where a single signal may be present in an instant in the air; or Multi/2 where you can have a maximum of 2 signals simultaneously in the air. 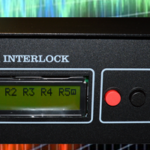 The Interlock is responsible for overseeing just radios are in transmission and can block the radios that require it. 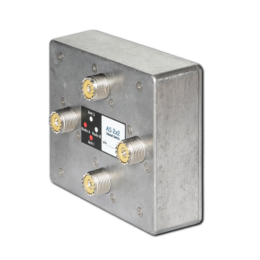 For this it is necessary to connect 2 signals between each radio and Interlock: PTT and Inhibit. With the PTT the interlock detects which radio is in transmission through the Inhibit, the radio can be locked – in case it’s required. Radios as Yaesu or Elecraft (K3) – that support this inhibit signal – are easy to interface with the Interlock, since they are Plug & Play. 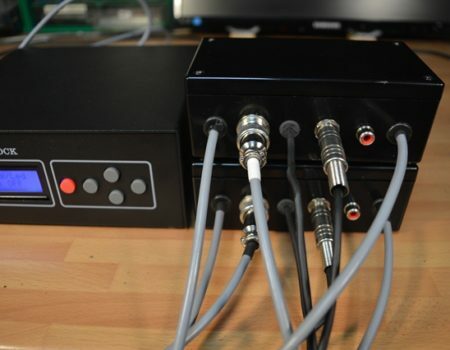 Other radios do not exhibit this signal, can also be used, but in these cases should do pass the Key signal – CW – or microphone signal – SSB – through a box with relay; in stand-by the relay passes the signal to the radio, but when activated prevents the signal from the radio so then there will be no transmission. 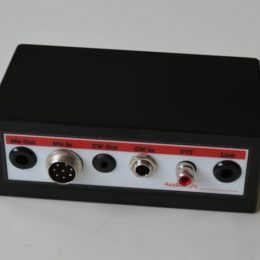 It’s available the Aux Box for those equipments that don’t include the inhibit signal as Kenwood or ICOM. 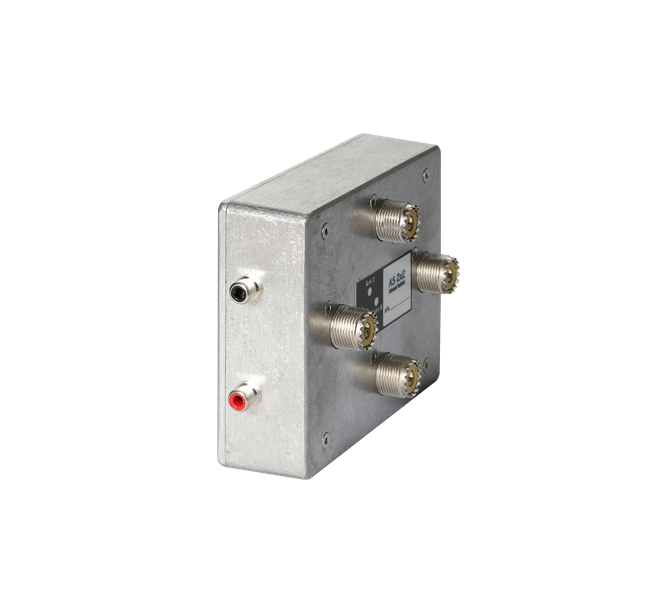 Multi/1 o Multi/Single: Allowing only one active signal at any time. Multi/2: Allowing a maximum of 2 simultaneous signals in 2 different bands at any time. 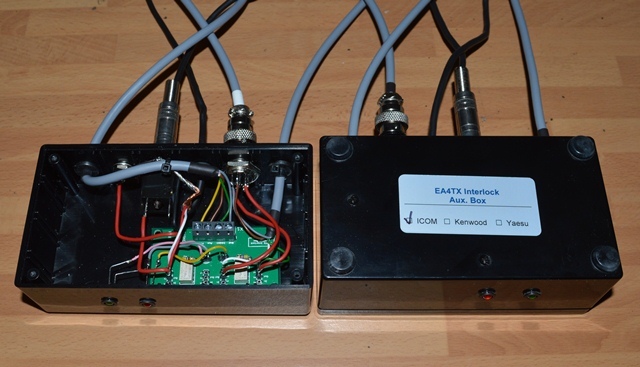 InBand: Allowing only one signal per band; It is only possible to have an active signal in the same band. 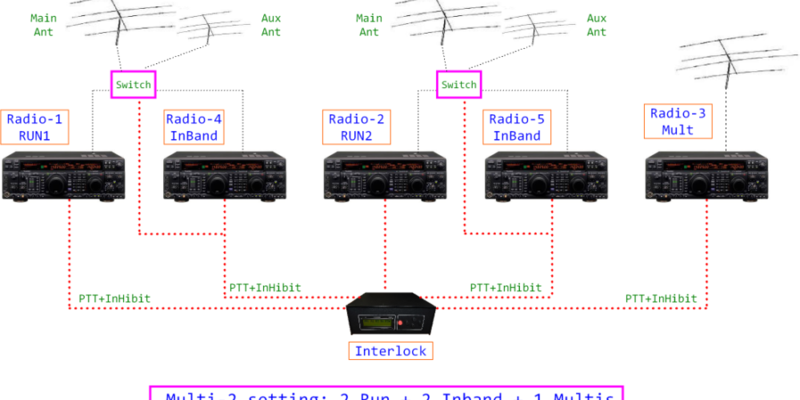 SO2R: A single operator with 2 radios. In this case, only one signal is allowed. 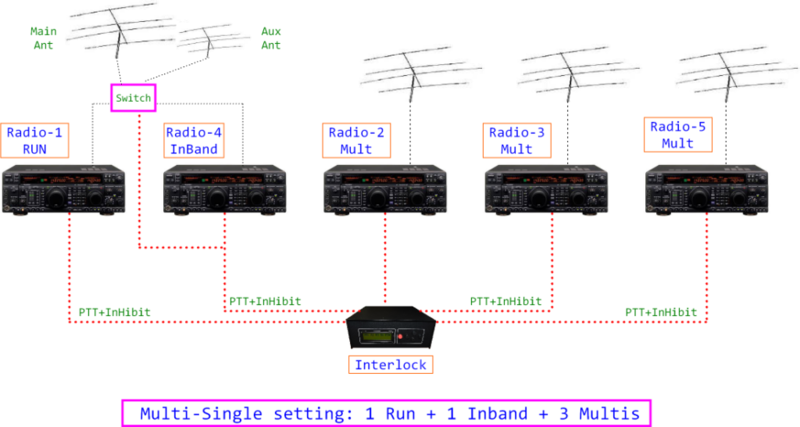 The Interlock equipment supports 5 Radios (R1, R2, R3, R4 & R5) and can be programmed as: M/S or M/2. 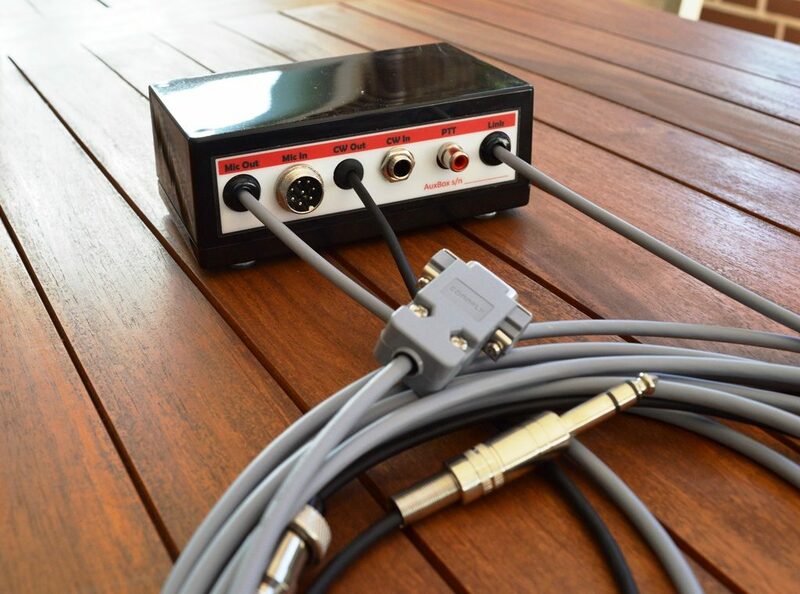 It monitors in real time only one (M/S) or two (M/2) signals are at the same time in the air. 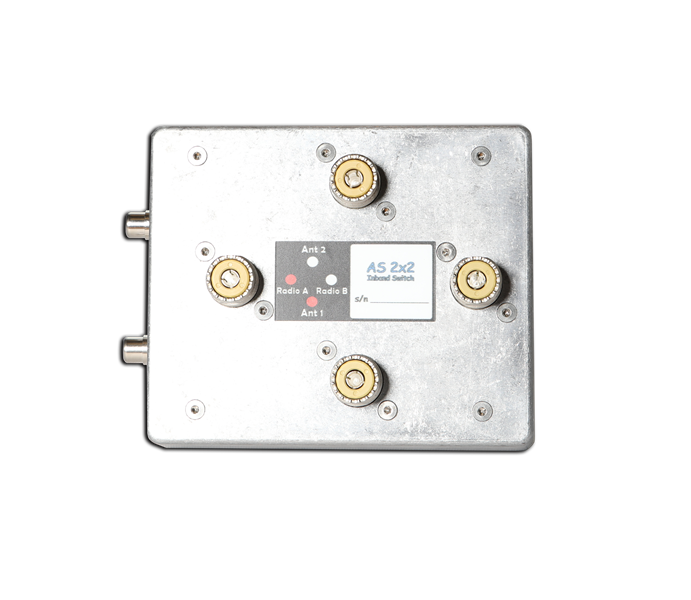 If it detects a violation, it will block immediately one of them by activating the inhibit signal and cause one of the radios remain without transmitting signal. Yaesu radios or Elecraft (K3) include a signal called INHIBIT, which will be used by the Interlock to perform blocking. When radios that have this signal is used, the interface between Interlock and radios is very simple. 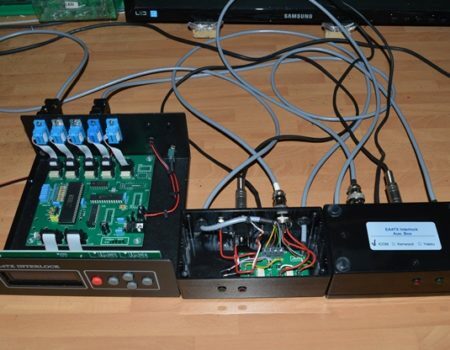 Other radios that do not have this Inhibit signal can also be used, but in these cases we must pass in CW Mode the Key signal or in SSB Mode the Microphone signal by a relay box; In standby the relay lets the signal pass to the radio, but when activated, prevents the signal from entering the radio, so there will be no transmission on that radio. 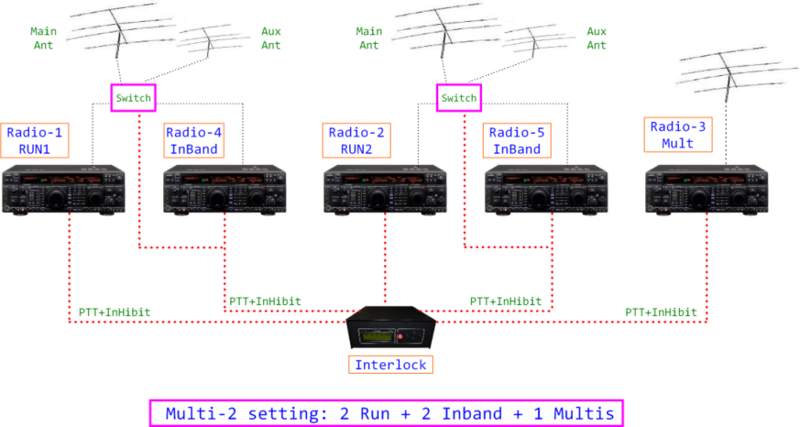 Two of the 5 Radios can be programmed as Inband Radios (R4 & R5) being associated with a Main Radio (R1, R2 or R3). Partners “Main” and “Inband” has an important feature: only one of them may be transmitting at the same time, for what has a high priority task that performs this oversight. Each connected Radio is programmed with a priority level (value 1-5) and Interlock uses this parameter to determine which radio “wins” and which radio “lost” in this case activating the inhibit. 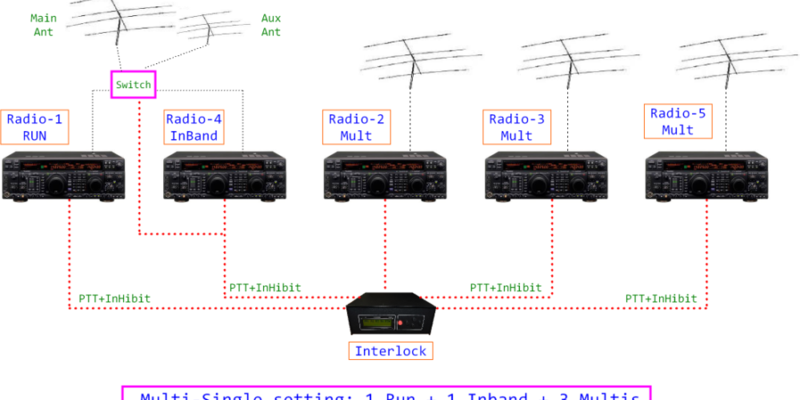 If it needs to inhibit a radio and both have the same priority, blocking is carried out by the criterion: “Last passed TX, First to be blocked “. The Interlock includes a windows program called: IM that could be installed on any computer. In this way, each contest operator can monitor the status of the Team. 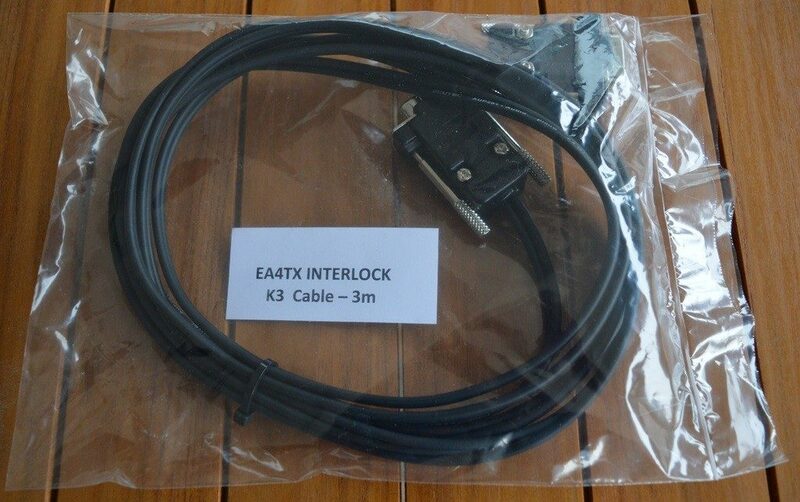 Also any operator can change the priorities of the Interlock during the contest. The IM includes the “always on” feature, so the program will be all time Foreground. 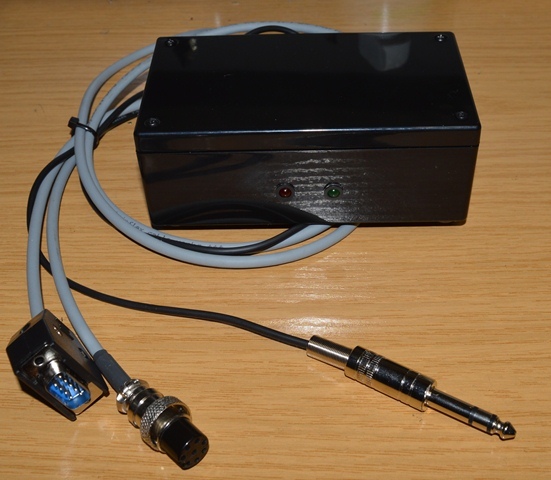 It’s compatible with Win-Test, N1MM, DXLog, etc. 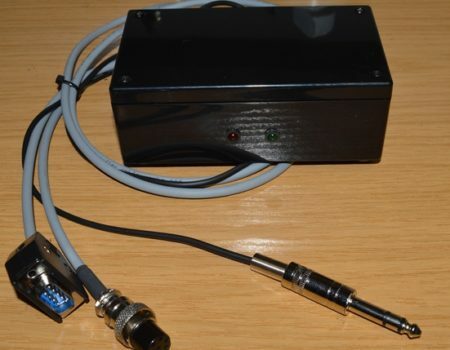 Microcontroller: The Interlock uses a Flash microcontroller @ 48Mhz. 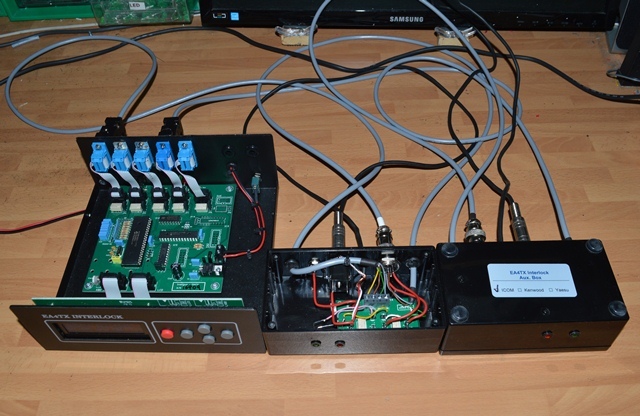 5 Radios supported: It supports till 5 Radios, 2 of them could be configured as InBands. Supervision and Monitoring: A program called: IM is included with the product. 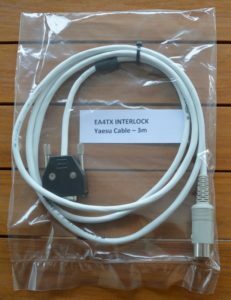 It can be installed on any computer of the network. 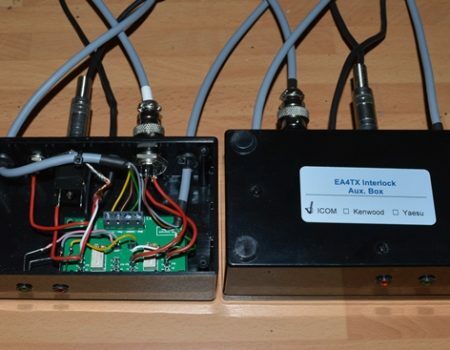 The program will monitor the status of all radios and will allow to the user to change the priorities of the Interlock. USB native: The microcontroller includes a fully featured USB that is compliant with the USB Specification Revision 2.0. z.
Bootloader: It includes a self programmability; it means that it can update itself a new firmware version. Any O.S. supported: Tested and working in Windows (XP, Vista, Win 7, 8 & 10), Linux and Mac OS X. 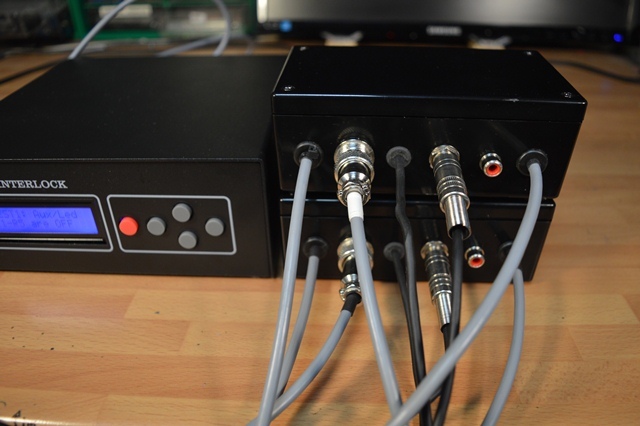 Universal box that allows to use any equipment that does not include the Inhibit signal like for example Icom or Kenwood. 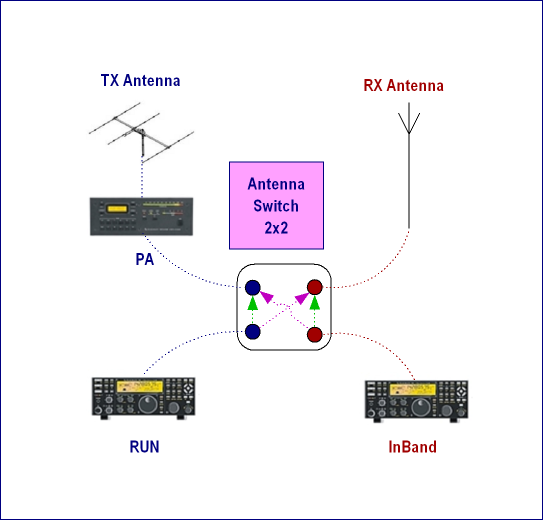 This switch 2 antennas in 2 radios is perfect for operation with a second radio in the same or different bands. 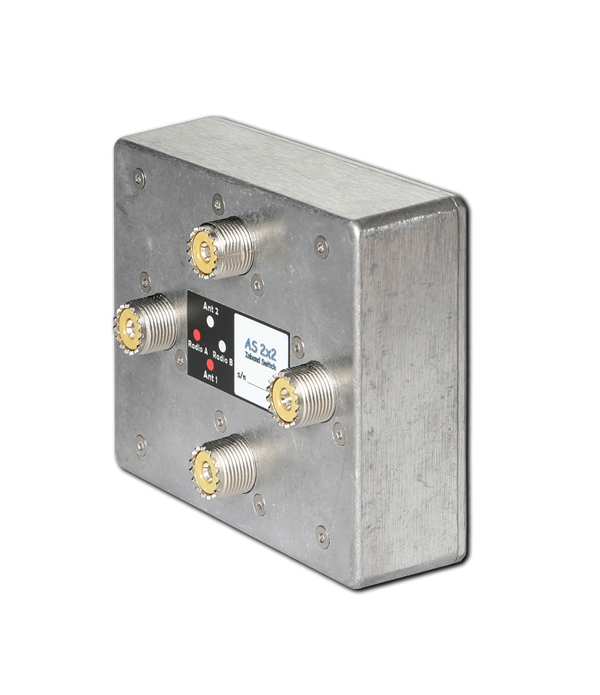 The Interlock 5R automatically manages the switch allowing the second radio to use the main antenna while switching the antenna 2 to the main radio.